As we’ve said before, Inlander Restaurant Week is the one time each year when you can share photos of your meal without being a obnoxious hipster foodie stereotype. Because even though restaurant week is technically 10 days, not a week, there’s still no way it would be possible to try all the dishes at all the participating restaurants. Half the fun is seeing what other people are eating. 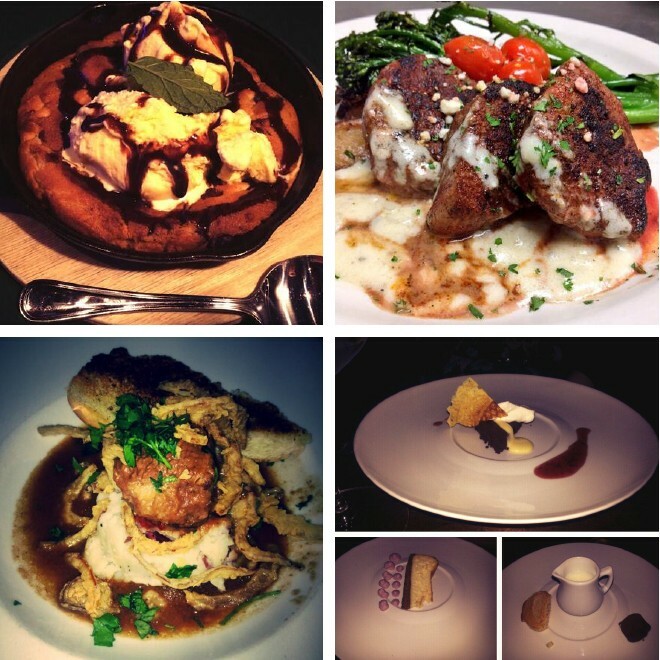 We already saw some great photos on Facebook, Twitter and Instagram from the first few days of restaurant week. But for those who aren’t exactly sure how to do that — no shame in that whatsoever — here’s a short guide with some of the most frequent questions about Inlander Restaurant Week social media etiquette, specifically for Twitter. The parts highlights in pink are references to other Twitter users, and they’re usually called Twitter “handles.” It’s partly a way of giving recognition, and it also notifies the other user that you mentioned them. We checked, and about half the participating restaurants have Twitter accounts you could reference. The parts highlighted in orange are the hashtags, which are used to collaboratively talk about a specific topic on Twitter. No one owns a hashtag; but if people use the same ones, it’s much easier to find related tweets. This is great for big events like restaurant week — you don't have to know, friend or follow a person to see their photos. Also note the camera icon, which is how you add photos. The “official” one is #INRestWeek. You may also want to use #Spokane and #cdaID (the most widely used hashtag for stuff happening in Coeur d’Alene). Why not something like #inlanderrestaurantweek? In general, shorter hashtags give you more characters for other stuff, since Twitter limits you to 140. They’re also easier to type. But there aren’t any rules about it — some people have been using other hashtags and that’s fine. But it is generally better to use the same ones as much as possible, since the point is making it easier to find content about restaurant week. Are hashtags only for Twitter? Hashtags are also popular on Instagram. Facebook recently started supporting hashtags, too, but they haven’t widely caught on yet. Like we mentioned, it’s fun seeing what everyone else is eating after we’ve all pored over the menus and debated what to eat. But it’s also worth sharing to recommend a particular dish, suggest a wine pairing or recognize excellent service. But it’s not worth worrying about — if you just want to enjoy your meal, that’s fine too.